There’s a kind of joke between Brian and I when it comes to Valentine’s Day. You see, we’ve never really been a couple that goes all-out, #boydidgood, delivery of a billion roses, etc. The last few years, we’ve not managed a stereotypical romantic Valentine’s Day, in fact one year Brian was even on a stag do on the day, which we found quite funny. How romantic! Anyway, this year has been a big one for us as a couple. We got engaged, we moved in together and booked our wedding date so this Valentine’s Day feels a bit different. 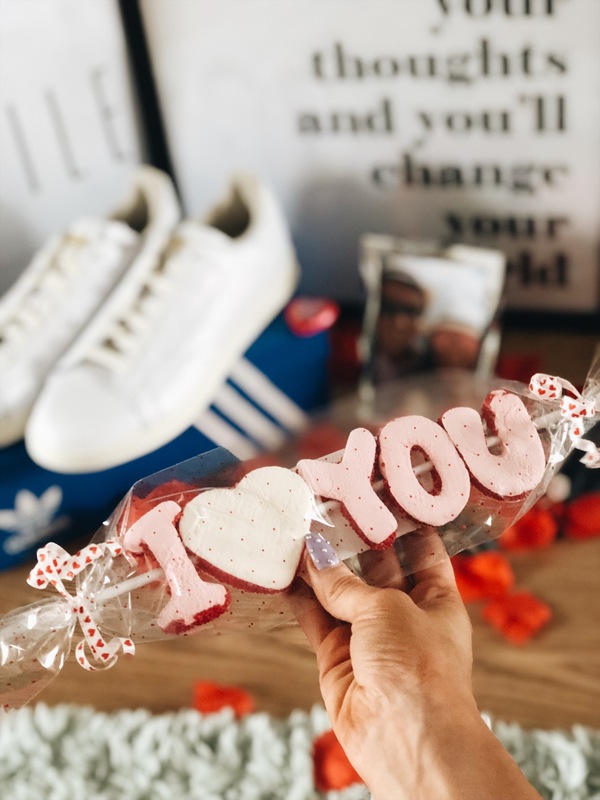 St Enoch Centre must have read my mind as they got in touch with a Valentine’s challenge – to find the perfect gift for Brian*. 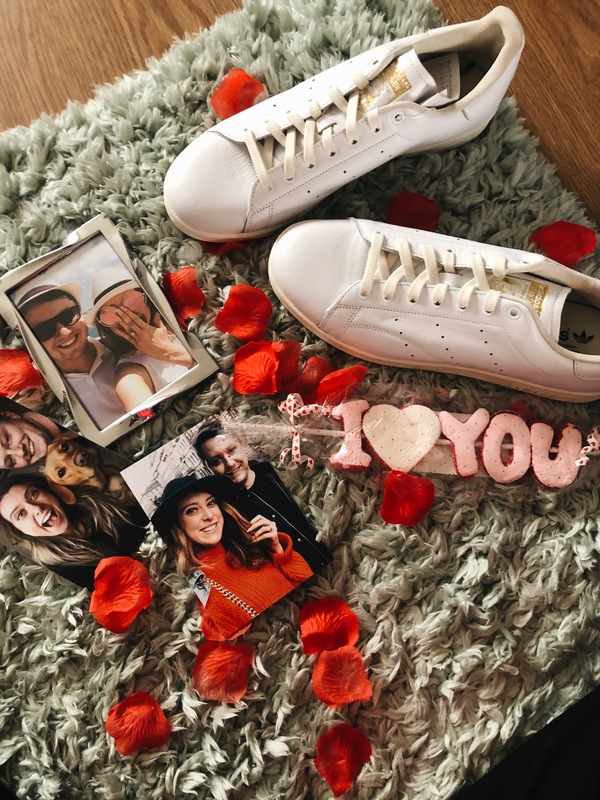 Nothing says ‘romance’ like trainers, eh? 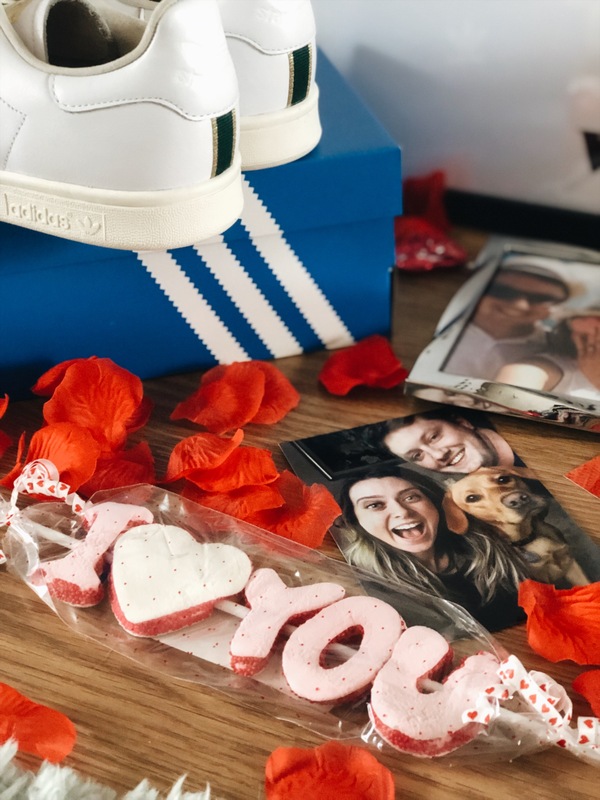 Seriously, though – I knew I wanted to get Brian a nice surprise that he’d actually use and you can’t go wrong with a pair of Adidas Stan Smiths. 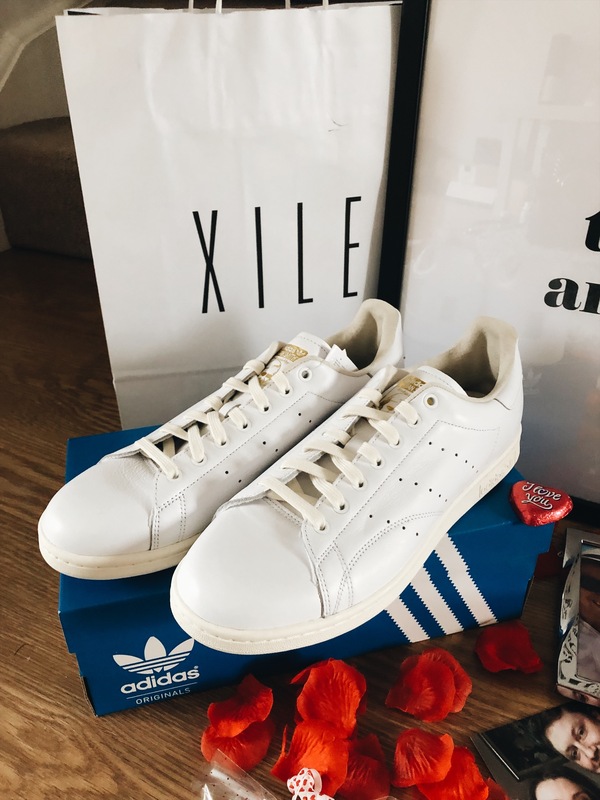 I spotted this pair in the window of Xile and liked that they were a little different to other Stan Smith trainers. 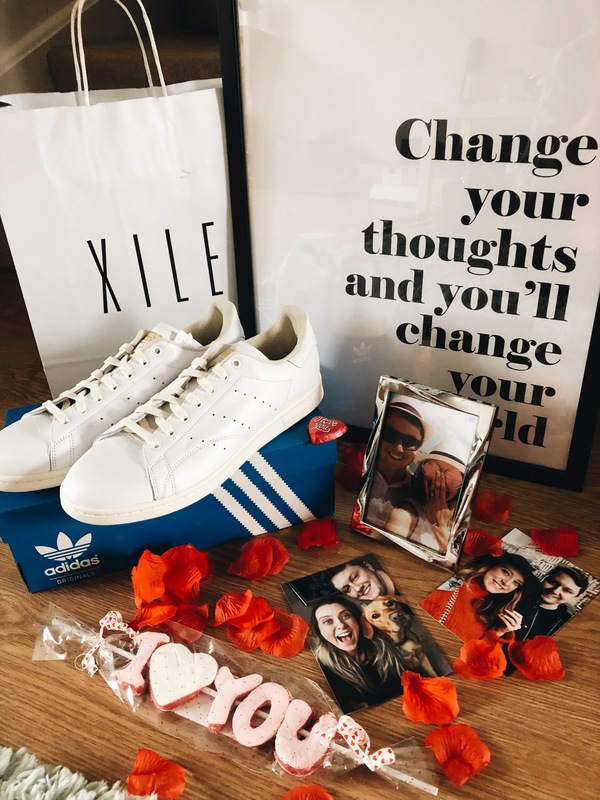 At £89, they took up most of my £100 gift card budget, but I always think it’s better to invest in a really good present that someone will love. Quality over quantity! Sometimes, it’s the little gifts that mean so much – and they don’t need to by expensive, either. I decided to get a few of my favourite pictures of Brian and I printed in Boots and bought a frame from there too. I couldn’t decide what photo I liked best, so I’ll let Brian decide. 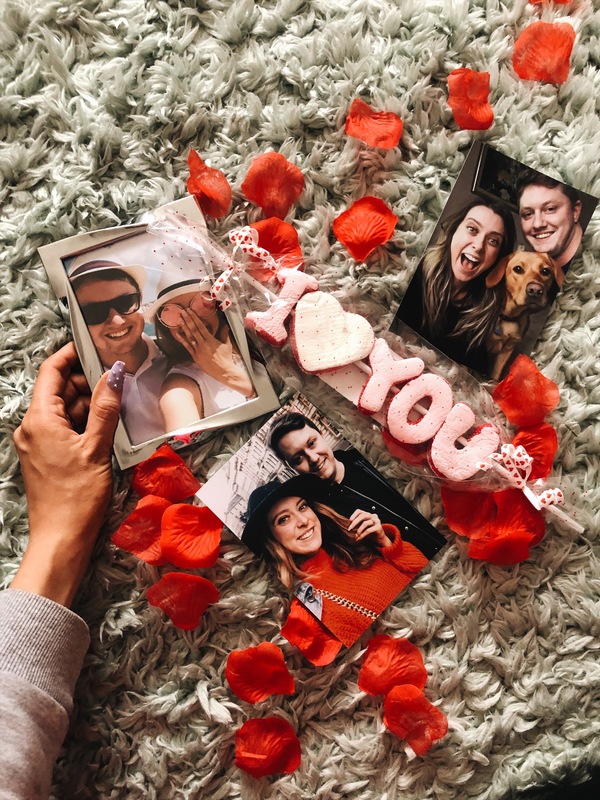 The frame was only £6 and the instant prints were 42p each – such a bargain! I always love going into Kimble’s. The staff are so friendly and the sweet treats are always amazing. They’ve got so many Valentine’s sweets to choose from, but I opted for this cute marshmallow stick which was £2.99. I love finding a good pressie combo and think Brian will like it too.